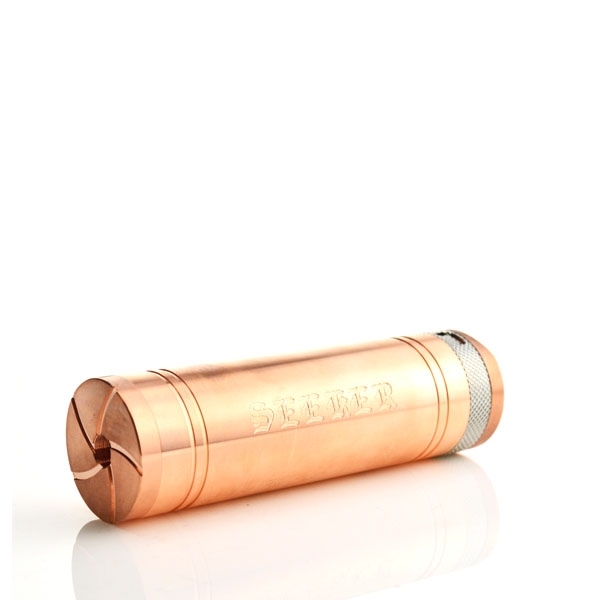 Created by EhPro, the Seeker mechanical mod is a beautifully designed device made from copper material. 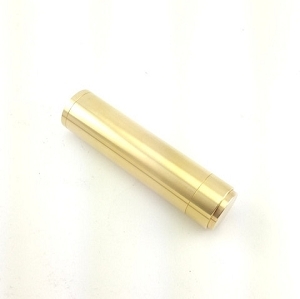 It's a single tube that is capable of using one 26650 sized battery and great for using atomizers that have a 28.5mm diameter specification. The design appears to utilize some of the popular mods you may see in the current market. 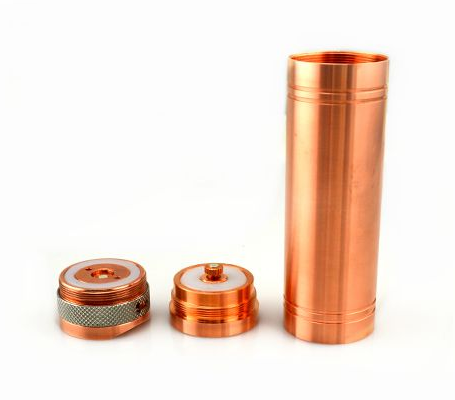 The top cap has a star slit design for air flow channeling when an atomizer sits, much like the King mod. 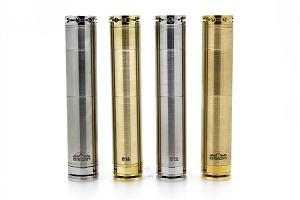 The center atomizer pin had a retracting design with an adjustable pin. 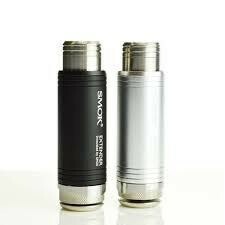 By attaching an atomizer, the center primary pin will compress so that there is less effort in adjusting the secondary pin to secure the battery. 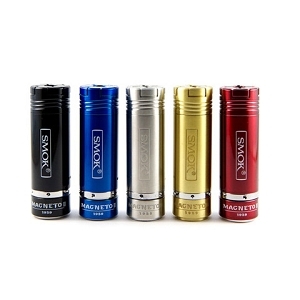 The bottom cap is equipped with a knurled stainless steel lock ring. 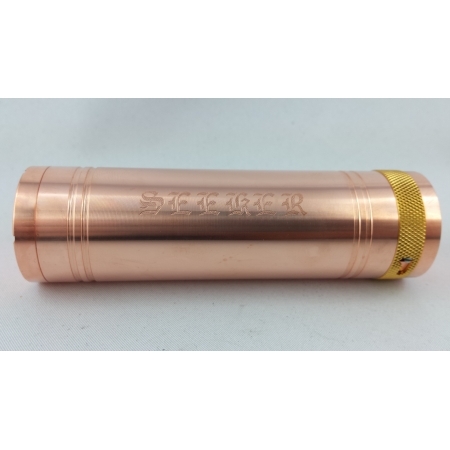 Rotate to the unlock position and the spring loaded copper button will take into action when firing. Two vented holes are drilled on the bottom cap, which offers a discreet appearance from the overall design, rather than having the vented holes on the exterior tube itself.